Like many people I commute to work on a bicycle. One of my biggest problems, besides dodging inattentive drivers, is being able to listen to music while still being able to hear traffic around you. I’m pretty much stuck with one option and only one option. A Bluetooth speaker. Most speakers aren’t made to be mounted on a bike, and the speakers that are take up valuable space on your handlebars. 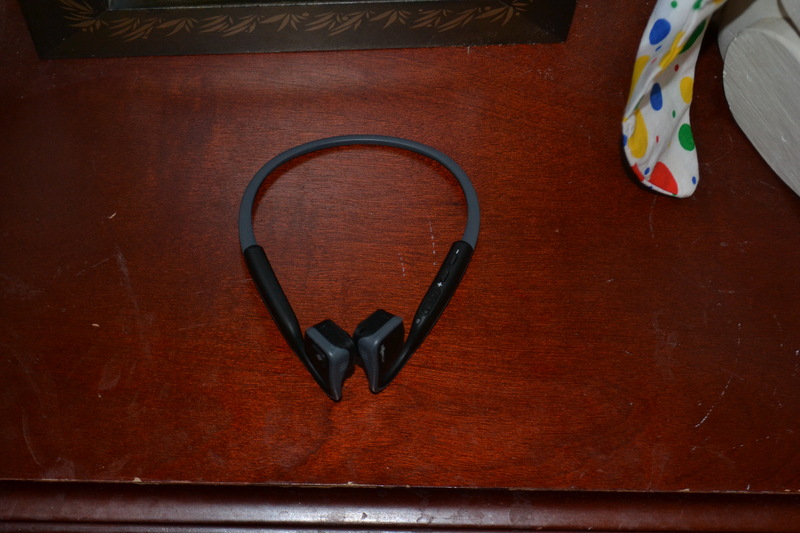 While I was at CES this year, I bumped into the folks at Aftershokz who showed me their lineup of bone conducting headphones and were kind enough to provide me with a pair of Aftershokz Trekz Titanium to review. I’ve pretty much worn these headphones every day since. Aftershockz utilizes a nontraditional method of delivering sound to your eardrums – bone conduction. Instead of creating sound through small speakers and directing it into your ear canal, Aftershokz Trekz Titanium sends vibrations directly into your ear by vibrating the soft bones in front of your ear. The benefit of utilizing this method is that you can still hear what’s going on around you. The Trekz Titanium feature a titanium band that is almost impossible to bend out of shape and does a great job in adding to the portability and durability of the headphones. The titanium band also helps to minimize the Trekz Titanium’s footprint as the band is much smaller than their other bone conduction headphones. The Trekz Titanium feature just three buttons, two volume buttons, and a multipurpose button. The volume up button doubles as the power button, which frees up the multi-purpose button for other options, including initiating Google Now voice commands. It also can change the song being played as well as answer and hang up phone calls. 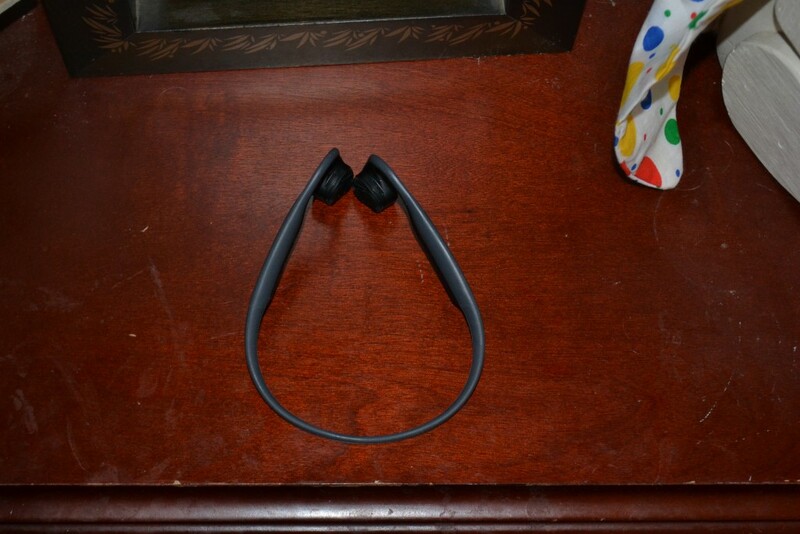 All this and they are also wireless, utilizing Bluetooth 4.0. The setup procedure is fairly easy. All you need to do to pair the phone is turn the headphones on by holding down the volume up / power button and keep it depressed until the headphones announce that they are in pairing mode. From there you can search for them from your phone and pair them to your device. 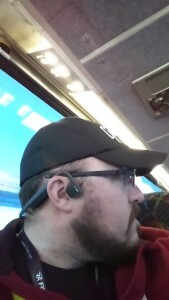 The Trekz Titanium headphones are very comfortable even when worn for long periods of time, and because they don’t block your ear canal, they are easy to leave on all the time. After a while, there was a slight discomfort that I felt from wearing them all day, but it wasn’t anywhere near the point of needing to remove them. The battery life is excellent. They lasted me, on average, 2 days of normal use before I needed to charge them. The sound quality was also pretty good. 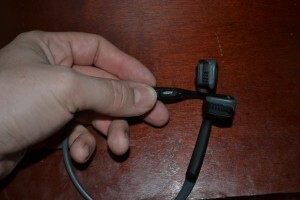 Because the headphones don’t go directly into the ear, the bass response is less than other on-ear or in-ear options. Another downside is that these headphones are not suited for listening to music at high levels. This detracts from being able to be immersed in your music. It seems that Aftershokz is aware of this, and they provide a pair of memory foam ear plugs to help. It does help, and it’s the only way to listen to the headphones at full volume. If not, the vibrations will cause the small hairs inside your ear to move back and forth. It will tickle the insides of your ear to the point where you won’t want to continue listening at that volume level. This never happened at low to medium volume levels. In fact, low to medium volume levels are where these headphones excel. They allow you to be aware of what’s going on around you while still enjoying your music. I bike to work every day and being able to hear the traffic around me is extremely important so as to avoid any kind of accident. One downside is that when you move your head from left to right it’s easy for the headphones to shift on your head. This is further complicated if you’re wearing a helmet or high-collared jacket. It’s easy enough to readjust, but it can be a little annoying when you’re having to do it several times during your commute. Another area where I used the headphones was at work. I like to listen to music, but I also need tobe able to hear my desk phone ring. It’s also nice to carry on a conversation while you have music playing on your headphones. In reality, the headphones normally sound like ambient sound. They don’t sound like they are directly beaming the music into your ears. They sound more like you’re listening to music on speaker somewhere in the room. Another negative that I found was that the microphone was a little finicky at times. It seems like if I leaned back in my chair, brought my hands above my head, or any other change in position could compromise the person’s ability on the other end of the call to hear me. This was frustrating at first, but after I figured it out, I just made sure to maintain a proper posture during my phone conversations. Overall these headphones are really great. They aren’t a replacement for your super awesome over the ear headphones, but they aren’t meant to be. Instead, they bring something else to the table. They bring the ability to listen to music without having to go deaf to the world around you. That is the main reason why these are now my go-to headphones. 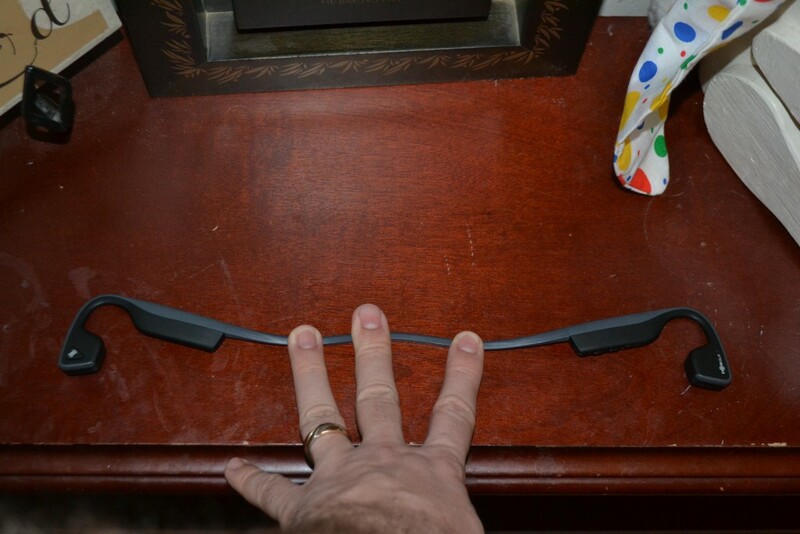 They sell for $129 on Aftershokz.com. What do you think? Are you going to give them a try?